Veronica Francis has led presentations and training programs for over 20 years. Being a small business owner and one of the original co-founders of WREN (the Women's Rural Entrepreneurial Network), Veronica is often invited to present seminars and keynotes throughout New England. 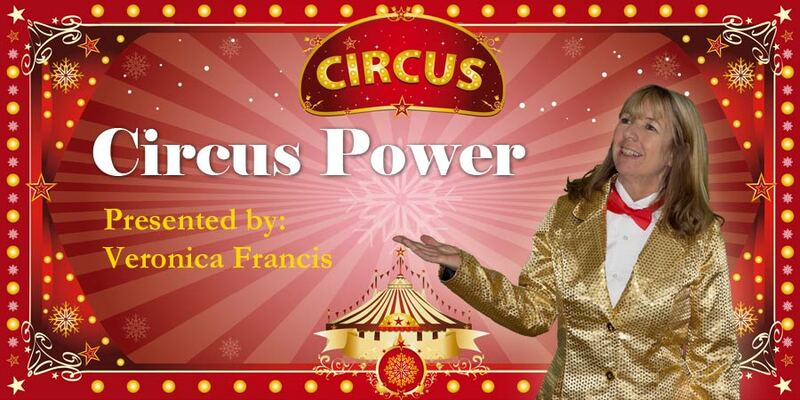 My latest presentation, Circus Power, shares my love of the circus with stress releasing tips for busy professionals. Veronica presents entertaining and informative web marketing seminars. She has over 20 years of Internet Marketing experience and has completed certification programs in Social Media Marketing, Local Search Marketing and Email Marketing. Veronica manages web marketing campaigns for hundreds of small businesses and non-profit organizations.